Creative is a leading brand in manufacturing good quality speakers that are not only durable, but also have an amazing audio quality. 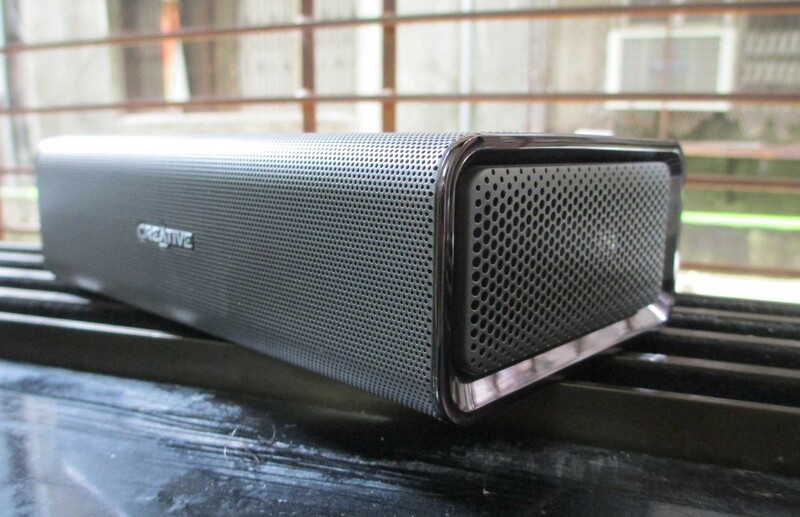 One such product that we will be discussing today is the Creative sound blaster SR20 Roar portable bluetooth speaker. This is one of the best portable speaker I have ever reviewed in terms of quality and performance. It has some cool exciting features apart from just playing song. Lets take it for a review and check out its specification in detail. The speaker has a cuboid shape (2.2 x 7.9 x 4.5 inch) with elegant and sleek design. It has a metal finish which gives it an amazing look with a rubberised finish at the back. The speaker is tough in terms of durability but is also heavy (1.1 kg) and not so much portable as you expect it to be. This is the only drawback that we noticed in this portable speaker.There is a creative logo in the front with two powerful speakers. On the top we have a Sub-Woofer (oh yes! even I didn’t believed it at first) followed by some buttons and indicator like NFC tag, 3 battery indicator lights, REC indicator, call/bluetooth button, volume rockers, ROAR toggle button, and power button. 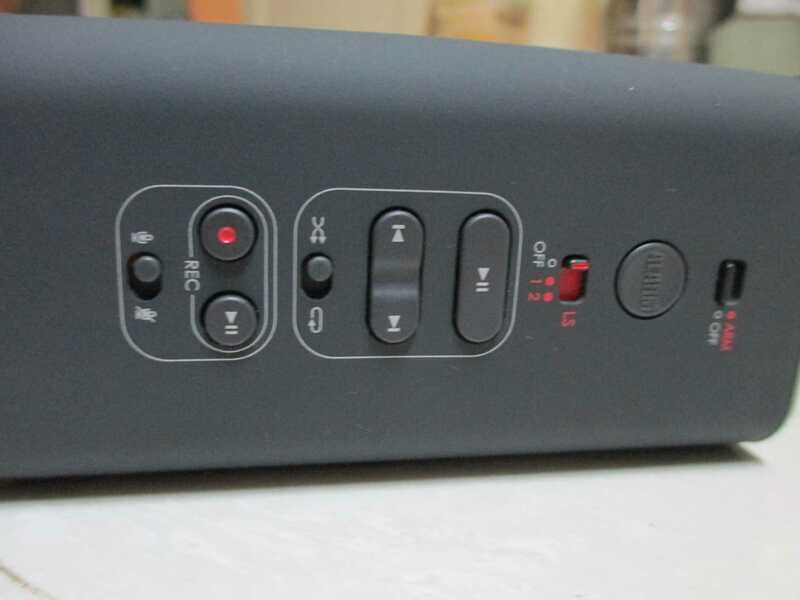 On the back we have DC 15V charging jack, AUX input jack, DC 5V 1A USB port, micro-USB port, micro-SD slot, microphone toggle button, recording button, play/pause button, shuffle toggle button, track seek/play/pause buttons, LS mode toggle switch, Alarm button and an alarm mode toggle switch. The speaker gives out some nice crystal clear loud audio because of the 2 amplifiers and 5 speaker drivers. I am not saying that this is the loudest speaker that you can get in the market, but only a few portable speakers have both loud and clear audio output. The bass that the sub-woofer can offer will surely surprise you. With the ROAR and Tera Bass feature turned on you can get maximum bass output from this portable speaker. With 6000 mAH battery SR20 has a playback time of up to 8 hrs which is great. Battery life is the key feature in any gadget and SR20 fulfils the requirement. 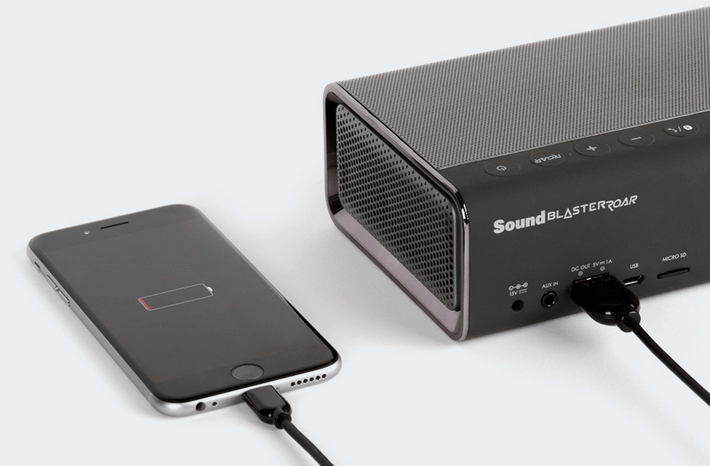 Charge your smartphone and use the speaker as a portable battery with a output of 5V 1A. 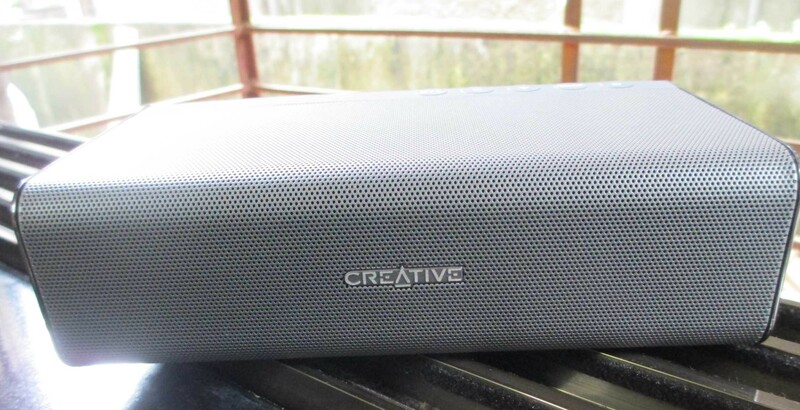 Creative just doesn’t wants you to look at it as a speaker only, but it introduced some amazing features along with music playing. It can be used to make conference calls, record conversation, to charge your smartphone battery, and draw attention if someone is trying to harm you. Though alarm is more like a siren and not the regular alarm. Creative SR20 has multiple connectivity options like bluetooth, NFC, micro USB, AUX and micro SD. Starting with bluetooth, you can connect up to two smartphones at once. To do so pair the first device, then pause the music and pair the second device with it. Once connected you can play music and make calls from the phone. The next option which is the best of all is NFC where in you can just tap and boom you are connected with the speaker. Manual pairing is way too boring and tedious when you are a lazy person like me. The third is the micro USB port which can be used to connect it to a PC or laptop and play music. Fourth option is to use an AUX cable to connect it with various devices. The last option is playing music without connecting speaker to any device i.e. using a Micro SD card (up to 32GB). It supports MP3, WMA, and WAV music format in SD card. When I connected my laptop and speaker using bluetooth, the music playing had some lag issues. So you can always go for wired connection(AUX or Micro USB) if you face issues. In any case if one SR20 speaker cannot suffice your need, you can always connect up to two SR20 speakers using the megastereo cable to get more powerful audio experience. For connection with PC, you can use the drivers and application given on this WEBSITE. 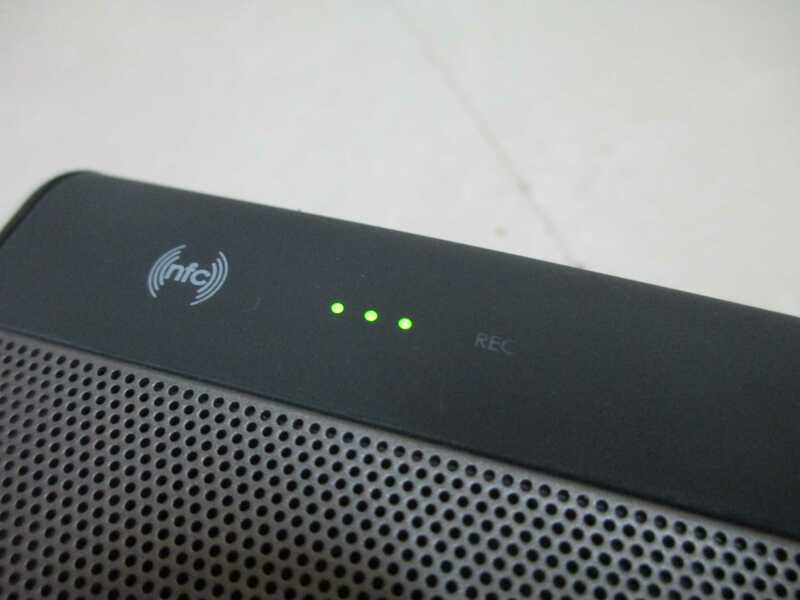 When I got the portable bluetooth speaker for review, the first question that popped in my mind was related to connection security. If there is no PIN while pairing with the speaker using bluetooth, then any body can just connect to it and start playing music from their device. To avoid this SR20 has 3 LS modes with different features. LS Off – It is a friendly mode where anybody can just connect to the speaker and play music but only one user at a time. Good for parties with multiple users. LS 1 – Only previously paired devices can re-connect to the speaker, again only 1 user at a time. LS 2 – Up to two users can simultaneously connect with the speaker at a given point of time. 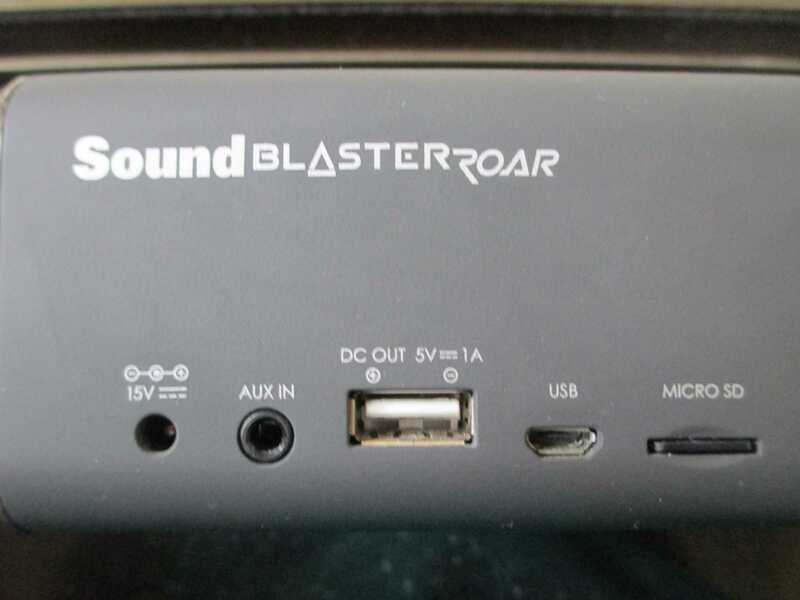 To enable the ROAR feature just press the ROAR button on the top of the speaker and listen to the confirmation. Similarly for enabling Tera Bass feature, press the ALARM button when the ARM switch is set to OFF. For controlling music play from Micro SD card you can use the play/pause, seek track and shuffle buttons at the back. To record you need to insert a SD card first then press the record button and the REC sign will light up in red color. To stop recording again press the same button. Receiving a call is very easy, you can just simple press the Call/bluetooth button. There is also an option of muting the microphone using the toggle switch when you are on a ongoing call. 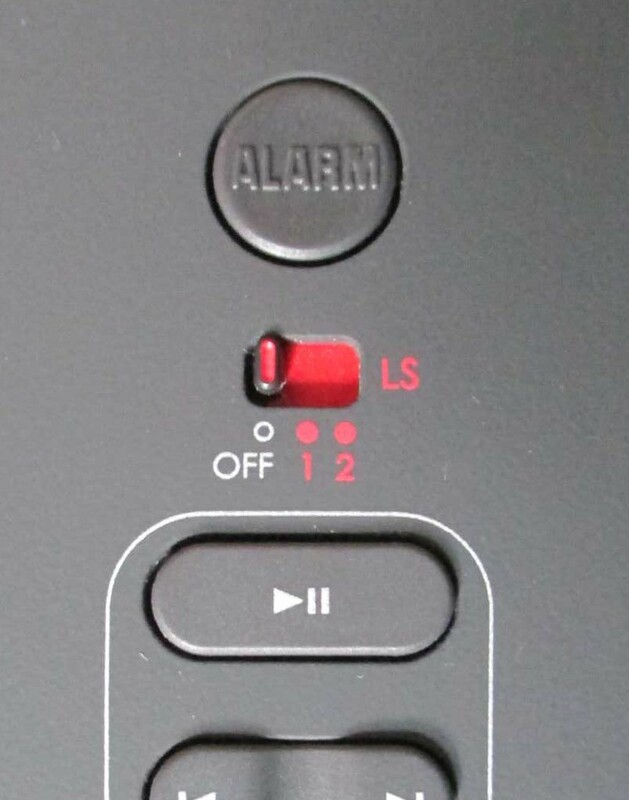 The Alarm or Siren button can be pressed to draw attention, but first you need to set the switch at ARM mode. The siren is pretty loud so don’t give it a try when everyone is sleeping. Creative SR20 boasts a 6000mAh battery which can last up to 8 hrs of music playing. You can charge the speaker using the 15V DC input jack. Universal plug power adapter is included with the speaker to support charging in multiple countries. When you connect the speaker with laptop or PC using micro USB cable, the charging starts but it will be too slow as the current output from USB port is very low. The speaker is priced at Rs.14000 / 150$ approx which may seem a bit costly to you at first. But comparing it with other bluetooth speakers in the same range it is a cheaper alternative. You can buy it from Amazon or the official website of Creative. With the speaker you get a 15V charger, micro USB cable, user manual and warranty card. With all these features packed up in this small and sleek box, the speaker is totally worth it for music lovers. We tried to cover almost all the features, but if you still have some doubts please drop them in the comment section below I would be happy to help. 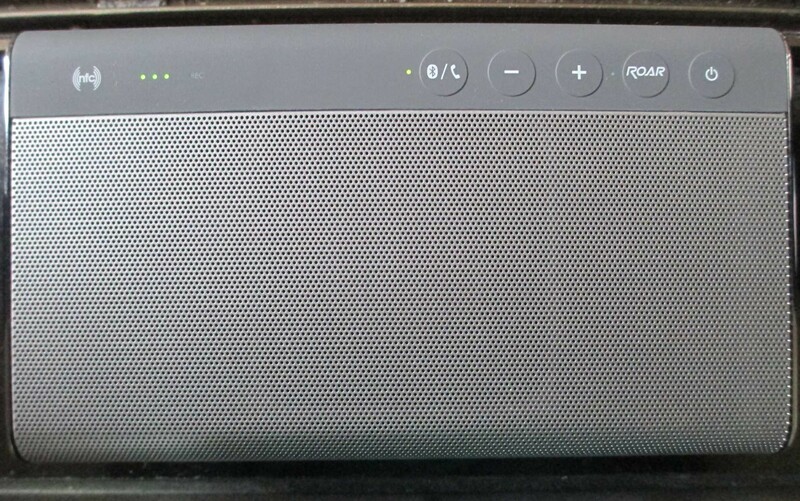 So this was our review of creative SR20 ROAR portable bluetooth speaker. If you like our gadget reviews do share it on your social media accounts with your friends and family.